Sweet words from great people. For more visit: The Knot, Wedding Wire, Facebook, and A Practical Wedding. Working with Diana was one of the most stress-free parts of our wedding (which, with ~150 guests was not without some stress...). She and the second photographer Amber were beyond professional. Diana voluntarily came out to visit the venue site before the wedding, to get a sense for the layout and to plan where the family and friends and couples shots would be. For our engagement photos, she was more than accommodating, even going so far as to let us re-schedule the second half of the shoot so that we could take some time to unwind in the midst of a crazy pre-wedding week of logistics. The photos came out beautiful, and represent the most intimate moments and important relationships that we wanted to be captured. The lighting and composition is creative and gorgeous. I'm grateful that I'm not planning a second wedding right now, but if I was I would ask to work with Diana again in a heartbeat! I wish I could give Diana more than five stars! From start to finish Diana was amazing to work with, down to even helping us plan our wedding day timeline. She’s also such a calming presence on the wedding day (which was much needed, we were so nervous!) We couldn’t be happier with how the pictures turned out and how well the day was captured. Diana is PHENOMENAL! Five stars doesn't adequately capture her exceptional qualities as an artist and human. She was one of the best decisions we made about our wedding. She knows exactly how to capture your chemistry as a couple and the magic/spirit of your wedding. Diana's down-to-earth, relaxed approach made us feel comfortable, and we could see this reflected in our photos. She is a consummate professional, too. We never worried once about her reliability or skill--she was always there and several steps ahead of us. She is someone you want to befriend because she's such a genuine person. As an LGBTQ couple, we wanted a photographer who valued diversity and social justice. We found that in Diana! We can't think of using another photographer for our big life events. She is a gem and has given us such a gift through her art. Diana is AMAZING! She is professional, makes you feel comfortable and is the kind of person that you want to be best friends with. We had an intimate Christmas wedding and did all of the planning within a month or two. Diana was very responsive, which made things easy. We did most things ourselves but pictures last forever and we wanted a pro for that! We hoped for an outdoor wedding but the weather had something else in mind. It was near freezing and the rain just kept falling. She was a total trooper and stood out in the cold, pouring rain taking pictures. She even offered to meet us at the venue a couple of weeks later so that we could get some photos around the property like we had hoped. It was even colder the second time around and she still spent at least an hour outside taking photos. The pictures from the wedding day ended up looking magical and unique with the rain falling in the background. Both days were dark and gloomy but the pictures certainly were not! She sent a lot of photos, which I appreciate. She provided such a variety, everything from classic shots, funny moments, intimate and genuine moments and some details that I would have never thought to capture. She managed to capture all of the emotions of the day. I'm happy that I can pull out an album and every aspect of our wedding will be right there at my fingertips to relive. Diana was, by far, one of the easiest vendor to book for my small, intimate wedding. She responded to all my questions quickly and kindly. Her work is amazing, and she did a wonderful job making us feel comfortable in front of the camera. On the day of my wedding, I was so anxious/excited/nervous/etc, and Diana's presence was extremely calming. Diana was ABSOLUTELY an amazing part of our wedding experience. She is professional, down to earth, very kind, and very easy to work with. She reminded me of a close friend and I felt very comfortable through all our photo sessions. And on top of all that, her work is breathtaking! My hubby found her photos (without realizing who the photographer was) and I was brought to tears with how sweet and loving the moments looked. At every photoshoot she showed up with a plan but also left room for us to be creative and "in the moment." She gave direction, pointers, (and marriage advice) all while helping make the shoot natural and authentic. You will not regret letting Diana be part of your wedding experience; she's an amazing person and truly talented at what she does. If I could give Diana 10 stars I would. Hiring her as our wedding photographer was the best decision we made, and I'm so happy we found her. She is so laid back and easy to work with, but also gives good instructions and helps you to pose without looking too "posed." She has a knack for capturing the best moments, I felt like she was in a million places at once during our wedding-she didn't miss a thing! All of our photos bring out the personalities of us, our families, and our guests. Looking through our photos I feel like I am transported back to our wedding day, and I think that's the best you can hope for in a wedding photographer. We loved working with Diana, she is truly the best. Diana has a great eye and delivers you a ton of wonderful photos. She is also responsive, thoughtful of what you are trying to capture, professional and easy going. I can't stress enough how much I loved working with Diana, we will definitely be reaching out to her to help capture other life events. Book her, you won't be disappointed! Diana was amazing! She shot both my bridal photos and our wedding day photos and we couldn't have been happier with how they came out! She is very communicative (which was very important to me) and made us feel comfortable the entire time. She has a great personality and makes you feel like you're hanging out with a friend! She was always in the right place at the right time and got some great shots! I would recommend her to anyone! If you’re looking for a great photographer for your wedding, look no further. Diana was easily one of the best decisions we made when planning our wedding. She was so easy to work with and super responsive before and after our big day. 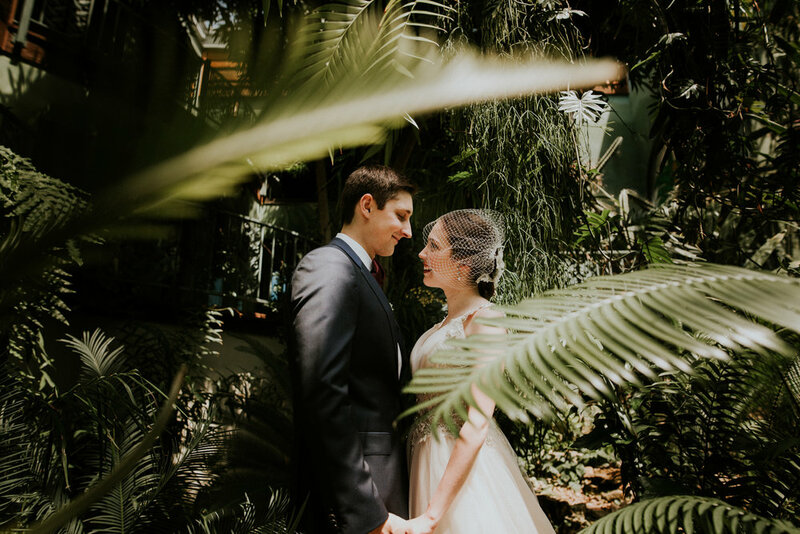 Amidst all the craziness of wedding planning, Diana’s responsiveness and flexibility was really a breath of fresh air - I never felt like our wedding was just one of many jobs for her and was never concerned she wouldn’t show up and do an amazing job for us. And that she did. On our wedding day, you couldn’t find a more chiller and kinder photographer. When we arrived at the venue, Diana was already there scoping out the land and getting a feel for where we would take all our outdoor and indoor photos. She was excellent in balancing being a director while remaining patient and super chill whenever things became rushed or plans changed. She really seemed to make it all work :) I even had several guests tell me during and after the wedding about how much they loved our photographer...yay! Then we got our photos back after the wedding, and woah - we were so moved at how she was able capture the beauty and specialness of our day. So many of our photos look like scenes straight out of a Nicholas Sparks book! And they have such beautiful lighting in them. Her eye for lighting and her ability to manipulate the light in each photo makes her work go above and beyond the average ‘great photos’ - they become art. That’s the best way I know how to describe it. You could also tell she really took her time with editing the photos in such a way that truly captured the aura and magic of our wedding day. We were so happy with Diana, and her passion for this artform is very evident in the quality of our photos. If you go with her, you won’t regret it! Diana absolutely blew us away! The quality that we received for such a reasonable price was just above and beyond! We felt such a connection to her the first time we met her at the Swoon Event in Austin, and her friendliness and quick, thorough replies to all of our questions sealed the deal for us. She spent half of a Sunday with us on our engagement shoot making sure we got wonderful shots with our pooch, and did lots of research to find us the perfect outdoor brewery we wanted! She listened to every detail we told her, and truly enjoyed every moment working with her. Our pictures are a total treasure that we'll have our entire lives! SO THRILLED! Diana nailed it!